Scratch and claw your way to a fabulously elegant look with the Etro™ Knot Heeled Sandal. Exquisitely embroidered paisley fabric upper. Lightly cushioned leather footbed with embossed brand name logo. The fit is narrow for the Luisa. The brand recommends to order 1/2 size up. 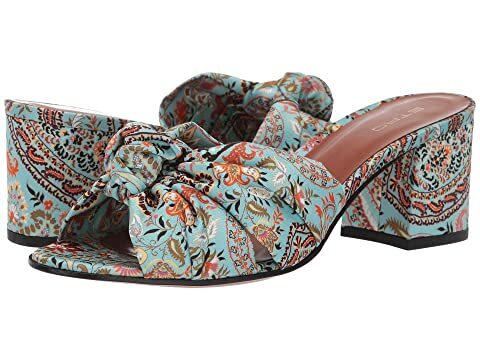 We can't currently find any similar items for the Knot Heeled Sandal by Etro. Sorry!